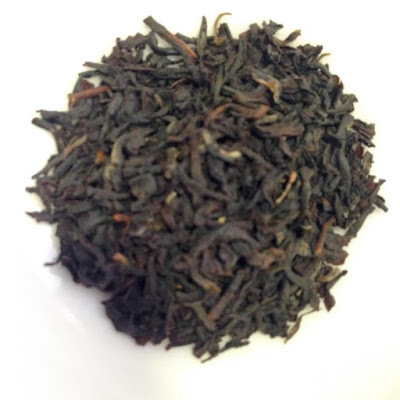 Today's review is for Imara, a Kenyan black tea from Majani. Founded in 2012 by the son of a Kenyan tea farmer, the company sells organic, substantially grown teas. When I first opened the box, I was greeted with cheerful brightly colored birds on the packaging. They are a fun combination of beautiful and adorable. It turns out that each tea gets its own bird. You can learn more about the birds here. The dry leaves are raisin-y sweet and toasty. The brewed tea has quite a bit of briskness and strength which makes it nice for a morning tea. I was recently in London and it reminds me of the hearty breakfast teas found just about everywhere. This tea has a nice round toasty flavor with hints of sweet caramel. It has a little bit of astringency as well, which is something I don't mind. I like my teas bold and strong, so I'm glad to have this one in my cabinet. It is perfect with milk and sweetener, or you can take it straight up if you like a strong tea. This would be a good every-day drinking tea in the morning or early afternoon. It would hold up very nicely to ice as well. I'm curious to try cold-brewing it to see what other flavors can be drawn out. Thank you Majani for the tea! I have two more varieties to try. Have a good weekend everyone!